Pop down to the uMhlanga beach to see the Samsung “Unbox” Frame as part of a national campaign running until 3rd July 2017 as part of the launch of the Galaxy S8 Infinity frame. 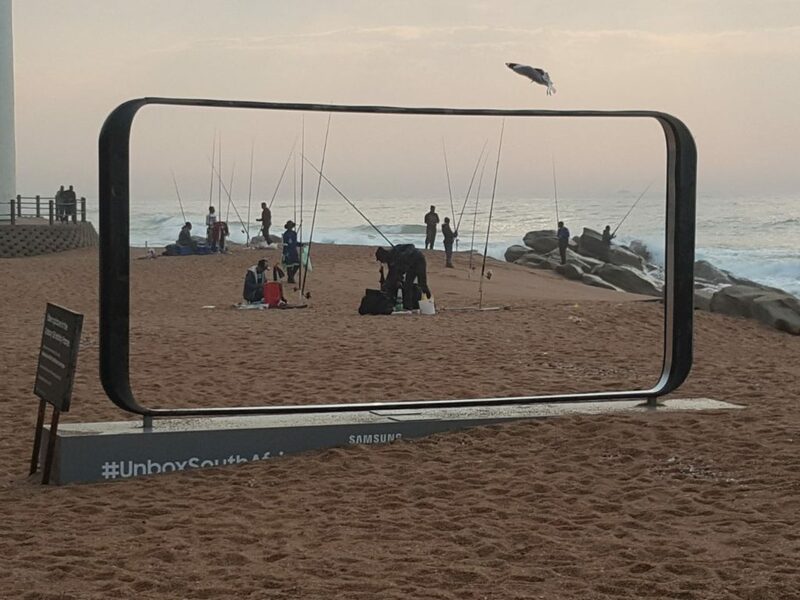 The aim of the frame is for people to share their iconic photo “as seen through the Galaxy S8 Infinity frame.” Photos tagged and posted to social media platforms with the hashtags #UnboxSouthAfrica #UnboxYourPhone to stand a chance of winning a Samsung Galaxy S8. Other Iconic frames are located at the V&A Waterfront and Nelson Mandela Square.